A stove is a freestanding unit that stands away from the wall (generally used for efficient and cozy heating). 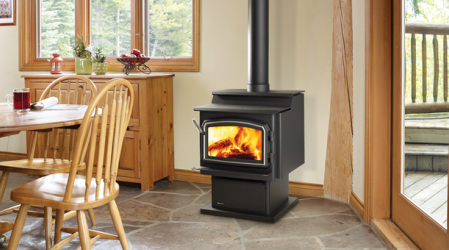 Regency Gas Stoves have the look of a freestanding wood stove but offers you the convenience of gas. Closest installations to side walls & corners in the industry. Choice of traditional or contemporary styling. Several venting options and configurations. Regency wood stoves are the most reliable and durable in the industry. EPA certified efficiency with very low emissions. Approved for various installations including mobile homes & alcoves. Optional blower help push the heat to the furthest corners of your room. 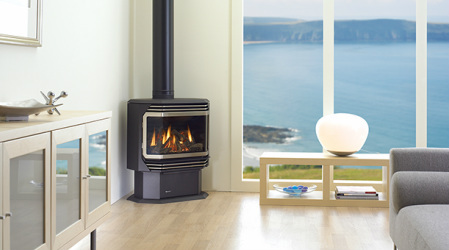 Easy access lid with large hopper and quiet controllable heat on Regency pellet stoves.